2014 is officially here! The ChangeLab crew is very excited about this year, but first, a review of 2013 to give you some context. Last year was an inspiring one for us. We found a new home in Oakland (huzzah!) and consolidated operations there. We published a second report on our research findings, presented at conferences and gatherings like the Association of Asian American Studies and Creating Change, and did several media appearances about Asian Americans and racial politics. We built new relationships with amazing people and organizations, and launched RaceFiles with a fresh look and even fresher writers! Undeniably, one of the year’s highlights was a gathering we organized in April with 18 thought leaders from the racial justice movement. We met over three intensive days in Seattle to deepen our understanding of current conditions, and to think — outside the box, with no foundation or organizational constraints — about how to respond. 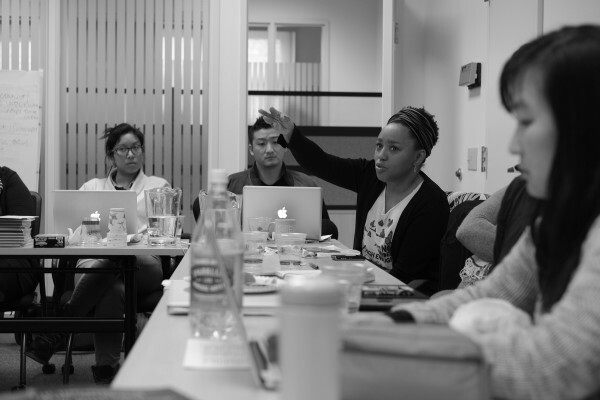 In a segment of that meeting we called The Good, The Bad, and The Ugly, participants reported on how race was changing in areas like gender and sexuality; criminalization; media, technology and culture; science and race theory; low-wage labor; and more. There was more bad and ugly than good, but it was an eye-opening view of movement openings, as well as challenges and outright dangers. The list of the bad and the ugly is long. Extreme rightwing politics is resurgent. Intensified criminalization and policing are normalized and institutionalized. The low-wage workforce is both growing and increasingly marginalized. The paid craft of news gathering is dying, as media consolidation favors markets over reporting the truth. White assertions of “reverse racism” continue to hijack racial justice language and drain it of meaning. Global capital and war are wreaking catastrophic damage worldwide. Biological racism is on the rise again. All of these things are happening, while at the same time, President Obama serves as a powerful symbol of black racial achievement (even as he deports record numbers of immigrants). There are more Asian American elected officials and more queer Asian Americans in movement leadership now than ever before. New media holds yet untapped movement-building potential. Certain kinds of LGBT identities have become more visible and mainstream. The upshot is that race in this confusing moment is contested and changing. There is no silver bullet for attacking white supremacy (or even two or three or four), but there are opportunities, and from Stop-and-Frisk to deportation, communities are fiercely waging important fights on the ground. Beyond the April meeting, we had many conversations with Asian American organizers, scholars, and community leaders. One entrenched problem that consistently came up was the model minority myth. 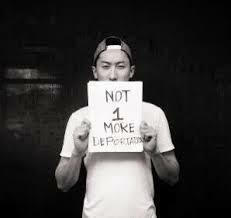 Asian American antiracists have yet to find effective ways to confront and dismantle the myth’s untruths, its inherent indictment of blackness, its use as a wedge in racial politics, and its denial of Asian American struggle and resistance. 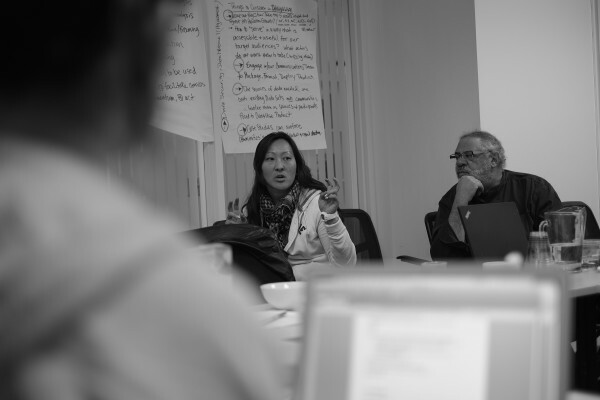 For this reason, ChangeLab is jumping into 2014 with the goal of aggressively tackling the model minority myth and building the visibility of Asian American antiracist politics. We believe that vocally contesting the myth and its twin face, the yellow peril, holds strategic potential to challenge the falsehood of “post-racial” egalitarianism, and to push back against the anti-black logic of poverty and criminalization. This demands new mechanisms, constituencies, language, and platforms. Our research highlights the need to break down how Asian American is a coalitional, not monolithic, identity. Contesting the model minority myth requires us to talk about differently situated Asian American groups — the hyper-privileged and the hyper-exploited — from an antiracist perspective that explains and critiques the roots of that privilege and exploitation. To do this, our work will take three main forms: 1) Race Labs as a space for thought leaders to gather and work on innovative strategies (the April meeting was a successful pilot); 2) Race Files as a blog that will continue to test and popularize ideas and language about Asian Americans and race; and 3) ongoing research, including an analysis of mainstream news coverage of Asian American issues and communities, and a field scan showing how Asian Americans in struggle are organized and networked. Yup, we’re excited about 2014. 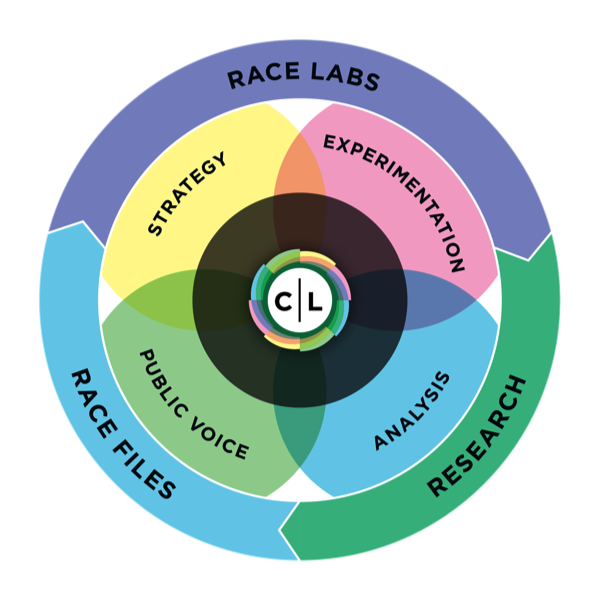 So stay tuned to this site for more ChangeLab news, and keep reading RaceFiles!